Service with a French touch means making sure your trip is a relaxing experience. On board, your seat is located at the front of the aircraft, in a separate cabin. You also receive priority access when boarding and exiting the aircraft. The seat next to you remains vacant to ensure you enjoy a relaxing and comfortable trip. Benefit from a comfortable, elegant leather seat on our Airbus aircraft A319, A320 and A321. 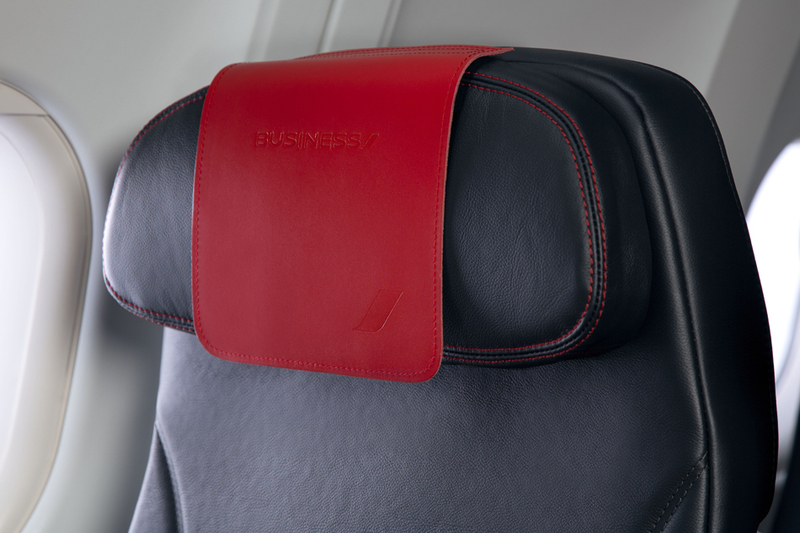 The adjustable headrest is covered in red leather, symbolizing the spirit of Air France. Make yourself comfortable: the armrests can be raised fully into the seat back and you receive a soft pillow. And on longer flights,* we provide you with an elegant travel kit containing a sleep mask and basic toiletries. All throughout your trip, our staff is available to assist you and make sure your trip meets all of your expectations. 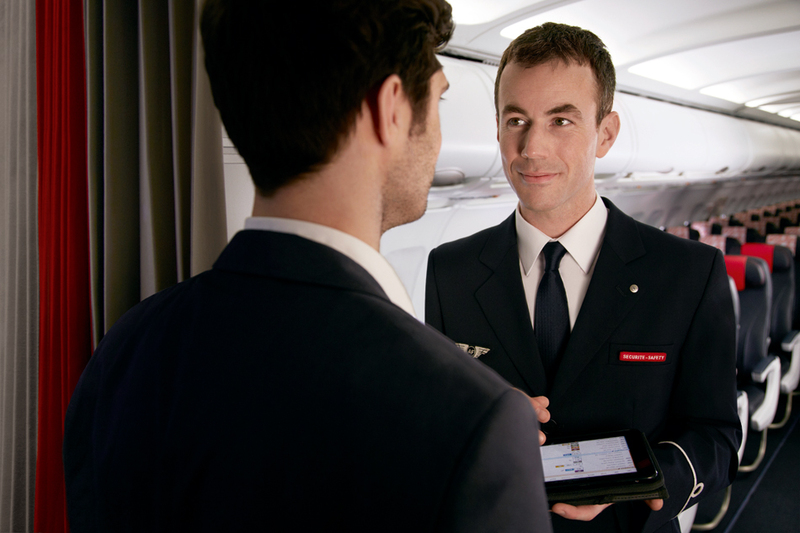 To help you relax during your trip, discover Air France Play, our digital media offer. Browse through our wide selection of newspapers or magazines and flip through your favorite publication before, during and after your trip. Treat yourself to something nice during your flight* and discover the Air France Shopping catalog available in the Air France magazine. From perfume, apparel and accessories to electronics, you can find the item that is right for you at any time during your flight!